It's been a Party Month! 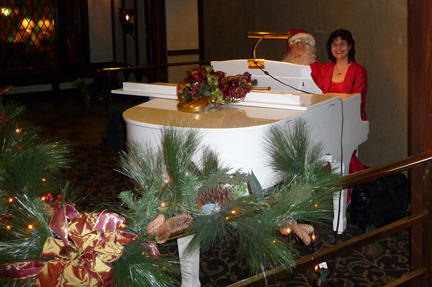 I experienced a whirlwind of wonderful parties this month playing for corporate luncheons, elegant celebrations at country clubs and intimate parties in people's homes. 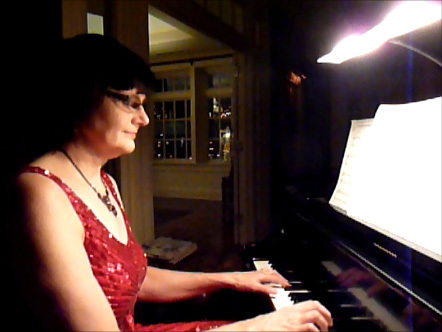 Last evening was especially lovely with guests gathered around the piano singing their favorite carols in the comfort of their home. The evening culminated with their beautiful four part harmonies on 'Gesu Bambino'. I have a couple of church services to play for and then I get to relax and enjoy my own celebration with family!